I need togrant the correct privileges to my employees – no more, no less. Remove admin rights without affecting productivity. Refine your security strategy with privilege management. The FBI ranks privilege management third in their list of nine steps to prevention. You need more than whitelisting. User Application Control (UAC) is essential for helping block what you can’t patch, such as zero-day exploits and legacy systems. But dynamic whitelisting is only part of the equation. You need a way to remove the full admin rights that might allow malware to enter and spread through your organization. And you need to do it without causing users grief. Because when users can’t get to the apps they need? They’ll flood the help desk or find workarounds (shadow IT). And you’ll have rogue vulnerabilities lurking in your environment. Help stop unknown applications from launching, without keeping your users from trusted apps they need to get their jobs done. Need to increase supply chain efficiency? Roll out a revenue-generating service? Now you can deal with more than security incidents and frustrated users. Meet regulatory measures that require specific account controls for managing high-privilege IT access, such as SOX (Sarbanes-Oxley Act). Raise, lower, or eliminate privileges on a per-user role, application, or task basis. And allow for self-elevation when exceptions occur. When users can access what they need to do their jobs, they won’t miss admin privileges. You won’t miss the help desk calls and shadow IT. Remove the enterprise-wide admin privileges that can lead to rampant spread of malware. 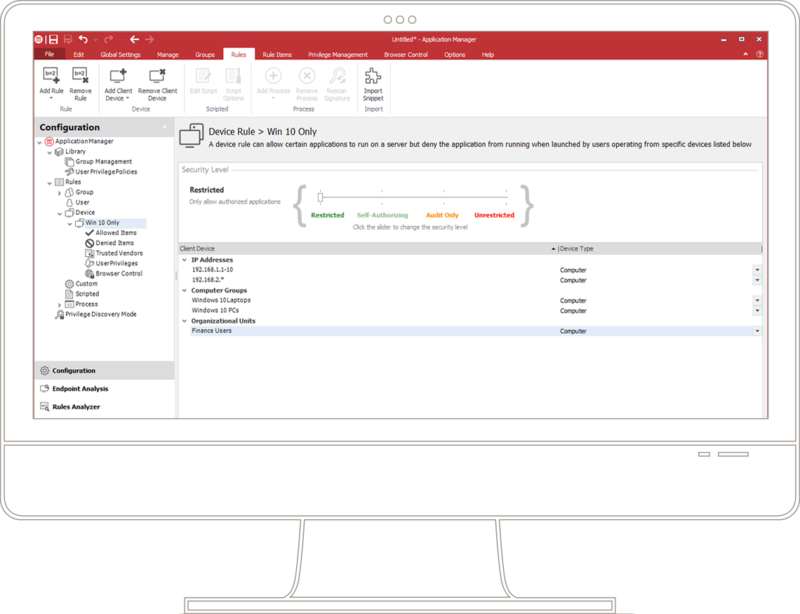 In addition to privilege management, Ivanti Application Control incorporates other features designed to secure your endpoints without limiting user productivity, including license control and trusted gold images. Strengthen the way you control and manage apps for servers, workstations, and the SCCM environment. 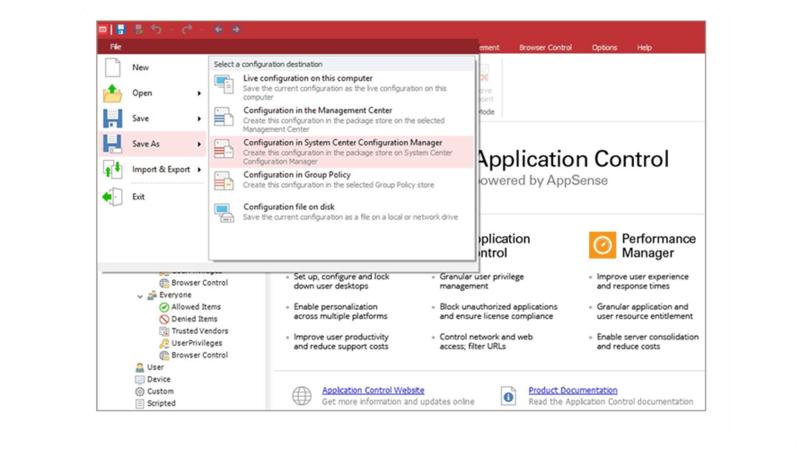 Ramp up security faster with application control that offers more context-aware controls and discovery capabilities. Prevent the execution of non-authorized code with application entitlement rules. If an app isn’t trusted, it simply doesn’t run. Get security up and running quick with a dynamic trust model, and gain insights into the apps in your environment with discovery and learning capabilities. Give your users access to the enhanced ability to execute applications, which you can either accept or deny based on their role. Keep up with the mobile workforce with controls that extend to any device at any time and anywhere. Get as detailed as you need while managing privileges.